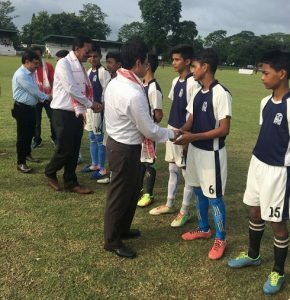 St. Xavier’s Higher Secondary School defeated Delhi Public School (DPS), Duliajan 5-0 in the inaugural match of the 7th DFA U-13 inter-school football tournament at Nehru Maidan, Duliajan in Dibrugarh. 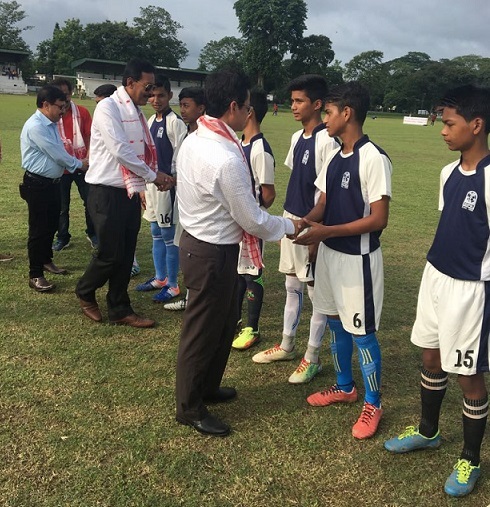 The tournament was organised by the Duliajan Football Academy under sponsorship of Oil India Limited, Duliajan. For St. Xavier’s, Sakil Ahmed opened the account in the 16th minute through a right flank kick. After one minute later, Sakil’s second strike immediately increased the score of his team. Pragjyan Tham fired the third salvo in the 19th minute. In the first half, St. Xavier’s boys led with 3-0 goals. In the second half of the game, St. Xavier’s boys came strongly in the match. Shankar Dutta scored the fourth goal in the 62nd minute. Anindra Konwar scored the fifth goal in the 70th minute. After the end of the game, Sakil Ahmed was adjudged as the best player of the match. DFA president Madhab Buragohain hosted the flag of the tournament along with other DFA members. 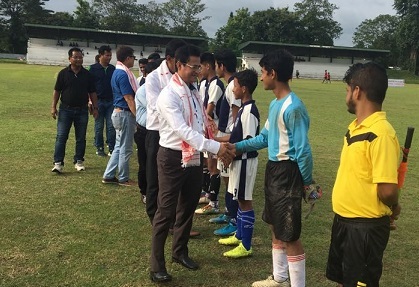 Dilip Kumar Bhuyan, general manager (PA) of Oil India Limited, Duliajan along with other officials of Oil India Ltd was present during the inaugural match.